We are delighted to present to the market this exceptional, three storey, detached family home located in the town of Stornoway within reach of all town centre amenities and services, including shops and supermarkets, education, healthcare, sports centre, arts centre, restaurants, bars and transport links and enjoys stunning open views overlooking Stornoway Harbour, the new Yachting Marina and the Castle Grounds. This property is in immaculate decorative order with high quality finishing’s throughout, extending to 3,750 square feet and offers bright, spacious and versatile accommodation comprising open plan family kitchen/diner, utility, W.C., sitting room/sun lounge, living room and study on the ground floor, four double bedrooms and family bathroom on the second floor and on the third floor there is an office, large play/music room, box room, bedroom and shower-room. 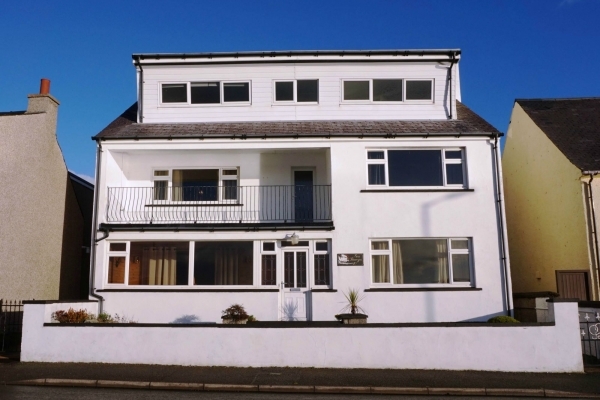 The property benefits from an energy efficient gas central heating system, a multi-fuel stove in sitting room, flame effect mains gas fire in living room and uPVC double glazing throughout. There is a large, private, well maintained garden to the rear of the property with a patio/BBQ, summer house and drying area. The garden access is to the side of the property. Offered by separate negotiation, there is a block built garage/workshop with mains electric and electric door, which can accommodate four vehicles. There is also on-street parking to the front. There is also excellent potential for ‘Granny/Teenage’ accommodation. The current owner has obtained quotes and plans for three additional en-suites to be installed. Viewing is strictly by appointment only and is highly recommended to appreciate all the features this property has to offer, along with the desirable town centre location, privacy and waterfront/mainland views from the balcony.